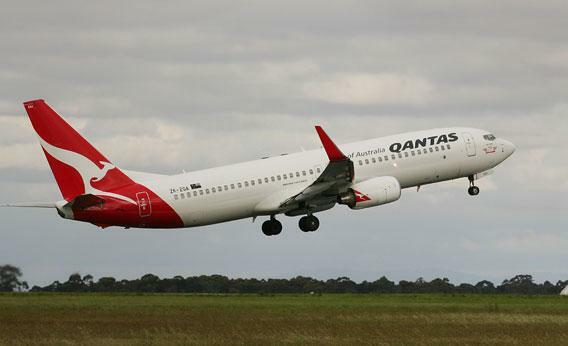 Airline Safety: Does Qantas Airlines’ crash-free record make it the safest carrier? Is Qantas The World’s Safest Airline? How reliable are airline safety statistics? Australian airline Qantas grounded its fleet on Saturday during a contentious labor dispute, but the airline was ordered back to work on Monday. In the United States, Qantas is perhaps best known for its mention in the 1988 film Rain Man, in which Dustin Hoffman played an autistic man who refused to fly on any other airline. “Qantas never crashed,” he repeated. Is that still true? The Swiss organization isn’t the only to attempt an airline safety ranking. The International Airline Passengers Association has published ratings of domestic airlines, and news organizations like U.S. News & World Report have also gotten in on the act. But you shouldn’t pay too much attention to any safety ranking, because they’re fraught with statistical uncertainties. For example, a statistician at MIT named Arnold Barnett ranked eight domestic airlines by the number of fatalities per passenger mile for three overlapping 10-year periods, and discovered that the airline that would have ranked 1st in safety between 1984 and 1993 drops to 6th if the period is changed to 1979 to 1988. The carrier ranked 6th between 1984 and 1993 finishes 1st in the 1979-88 period. The results show that an airline’s safety record in the past does not predict its future fatality rate relative to its peers. Even if historic accidents were a useful predictor of present safety, it’s not clear how to denominate the metric. Some rankers consider crashes per passenger mile, but 70 percent of airline accidents occur during takeoff and landing, which constitute just 6 percent of flying time. This makes commuter airlines, which takeoff and land more often, seem extra risky. You might count the number of deaths per flight instead, but that, too, would be misleading, since it discounts the dangers of accidents that happen in mid-flight. Groups like the Air Transport Rating Agency try to minimize these statistical uncertainties by considering additional factors, but it’s not clear that any of these correlate with accidents, either. A 1988 study by the airline consulting firm GRA, Inc. found that citations for maintenance mistakes only correlated with accidents for small and regional airlines. Another study found that fatal accidents were negatively correlated with nonfatal incidents, such as engine failure, between 1990 and 1996. In other words, airlines that suffered lots of little problems were less likely to have any catastrophic ones. This isn’t to say that all airlines are equally safe. There are several airlines that the FAA has refused to certify, and the EU bans airlines (PDF) that don’t meet its safety standards from flying over Europe. All of the blacklisted carriers are from the developing world, and the EU has the stats to justify that decision. According to a 2010 study by Barnett, airlines in the developing world suffer fatalities at more than 17 times the rate of first-world carriers. Explainer thanks Arnold Barnett of MIT, Ariel Beresniak of the Air Transport Rating Agency and Alison Duquette of the FAA.